The ability to lower your energy bills and to be self-reliant can be attractive features of installing solar panels on your roof. 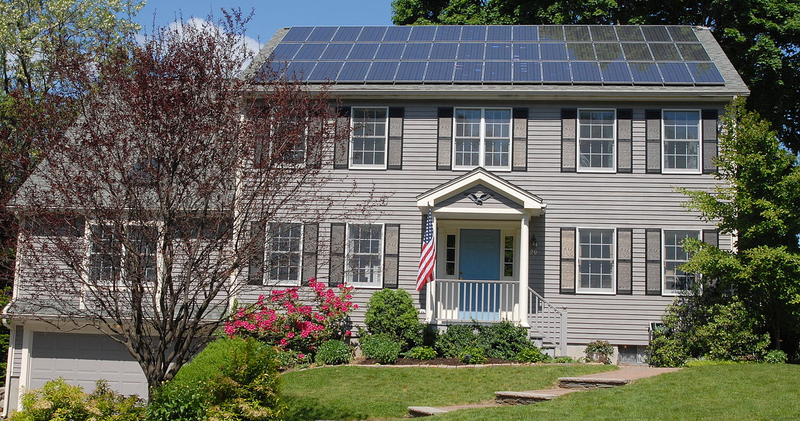 However, choosing to install a solar system on your roof is not a decision you should take lightly. It is important to weigh all the options and to consult with trained professionals, as an inexperienced solar installer can cause serious damage to your roof structure. Your first step in the process should be to research and choose which company you would like to install the solar panels. Decide how many panels you want and where you want them (south facing is best). How efficient your setup is depends on where you live. In an area such as Phoenix, more kilowatt hours of sunlight fall on each square meter of earth over the course of a day than in a less sunny area such as Chicago. This doesn’t mean that you have to forego solar energy in a less sunny place; it just means that you’ll need more panels to achieve the same power output. When choosing panel location, you’ll want to ensure that there are no shadows on the area of your roof where you intend to install the panels during the sunniest hours of the day, and preferably during all sunny hours. This might mean cutting back trees on your property. If your property is surrounded by tall buildings that block the sun, you may not be able to install solar panels on your roof at all. Unless your roof has a very steep slope, which may require specialized equipment to install your panels, it doesn’t matter whether your rooftop is flat or sloped. Installers will account for the slope of your roof and determine whether you need racks to adjust the angle and orientation of the panels. The material used on your roof is something to bear in mind, however. If your roof is covered with slate tiles or another specialized material, the installation of your panels will be more expensive, as the installers will have to take more care not to damage your tiles. Another thing to consider is that you are matching your roof life to the solar installation’s life. For example, if your solar system is designed to last 20 years, don’t install it on a new construction roof that is only designed to last 10 years. There are roof systems out there that can last 20 years. Once you have made these decisions, BE Structural can verify that your desired panel layout and that the brand/type of panel that you have chosen will work on your roof. Roof systems are not usually designed for the weight of solar systems or for the foot traffic that installation and maintenance brings. Our structural engineers will make sure that your roof can handle the load and lift of the panels and will recommend reinforcements, if necessary. The engineer will also check that the mounting system chosen is capable of withstanding the wind uplift loads in your area. He or she may recommend extra mounting hooks to provide extra support. Our engineer will provide the owner with a certification letter for your roof, once your design passes our structural analysis. Condo or homeowners’ associations may require proof that the installation will not cause any glare issues for neighboring homes. If this is the case, BE Structural can assist with glare studies to determine whether or not the panels have the potential to affect neighboring residents. These studies will compare the projected elevations of the reflected rays to the elevations of the neighboring homes. 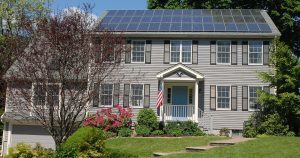 By taking these proper precautions, you can ensure that your solar panels are correctly installed on your roof, minimizing future issues and money pits. You’ll be on your way to gaining some independence from your utility company and minimizing your greenhouse gas emissions.